Check out the review by Steven John from The Manual. 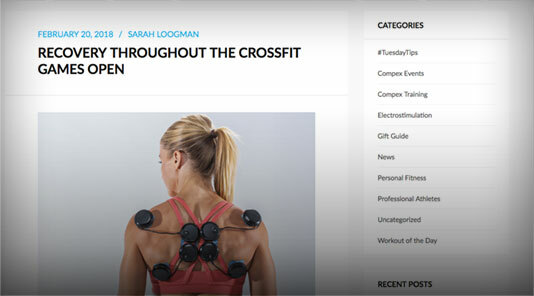 Please note that Steven was provided a device to keep by Compex at no charge, and his opinions in the review are his own. 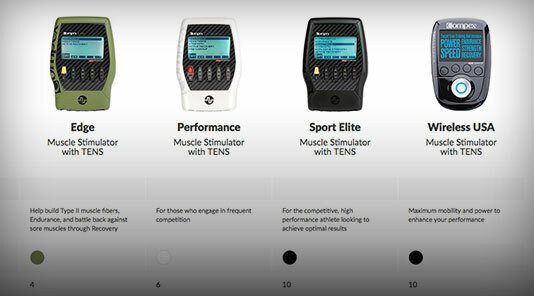 Go to https://www.themanual.com/culture/compex-sport-estim/ to see this article and more. First of all, forgive the “shockingly easy to use” pun. I went for the low-hanging fruit, yes; this device does not actually shock you, no. 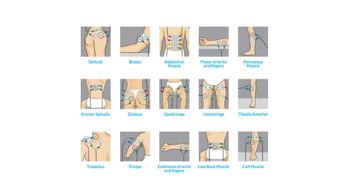 Rather the Compex Sport Elite uses electrostimulation (estim) — brief pulses of electricity transmitted through the muscles via electrode, e.g. — to aid with everything from improved blood circulation to increased muscle mass to faster post-exercise recovery. 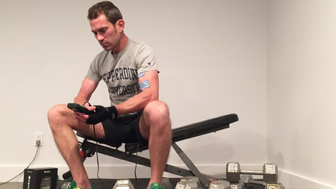 And yes, this Electric Muscle Stimulator really can do all that, and more. You just have to spend the time to learn to use it properly, and you have to get over the fact that using the Compex EMS is kind of really strange at first. 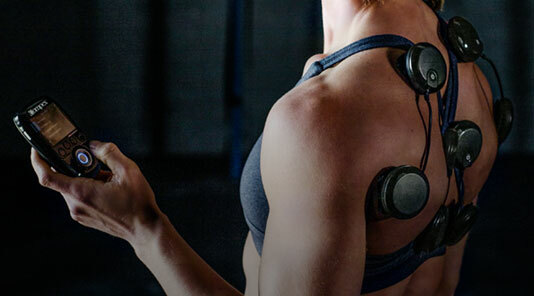 First, let’s take a basic look at what electric muscle stimulation is: it’s making muscles work. There. I mean… I said basic, didn’t I? OK, we’ll go a bit deeper. 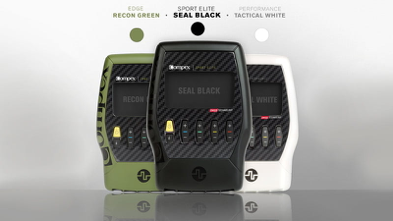 I spoke to Brandon Hearn, Senior Director of Consumer Business Development with Compex, and got the lowdown on the brand’s backstory. He told me that the company “has been around for 31 years now. 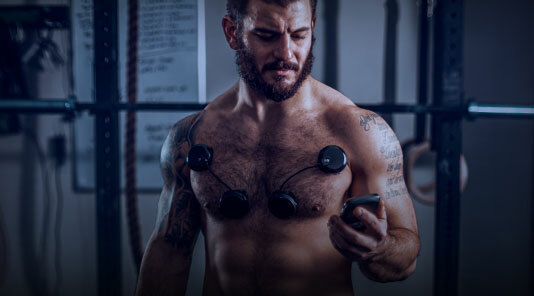 [Compex] was founded in Switzerland, and started out as a medical device company.” The products were developed for “people who had muscle atrophy issues, who needed rehab, that sort of purpose. But slowly and steadily we began getting more and more requests from fitness-related clients, and we became more geared toward sports and fitness products.” People realized the potential top quality EMS devices offered beyond keeping muscles of injured or elderly patients functioning, seeing that Compex products could also help fit people achieve ever greater strength and endurance capabilities. 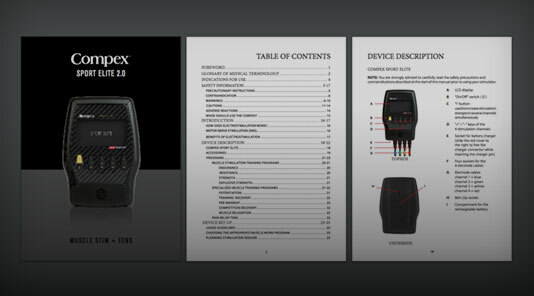 What sets the Compex Sport Elite apart from many other EMS hardware options is the fact that this device can “grab” almost 100% of the muscle tissue in a given area, providing your muscles with a productive, complete workout and avoiding dysmorphic issues many electric stimulation devices can cause. Think about it like this: when you lift a weight, you are using multiple muscles to heft and balance the load. When you use an electric pulse to contract a muscle, you run the risk of hitting and therefore working only a few fibers. 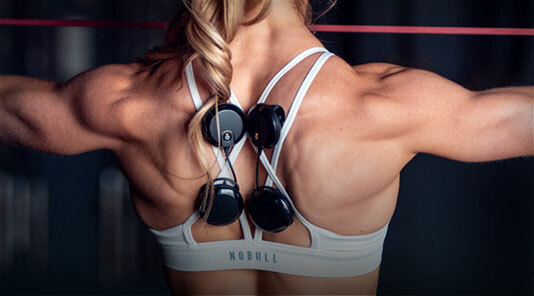 The Compex sends electric pulses deep into the fibers, contracting almost every tissue in a muscle group, therefore ensuring the muscle is developed evenly. Alright, now let’ talk about me. I’m a runner/hiker and I do daily calisthenics and some moderate weightlifting. 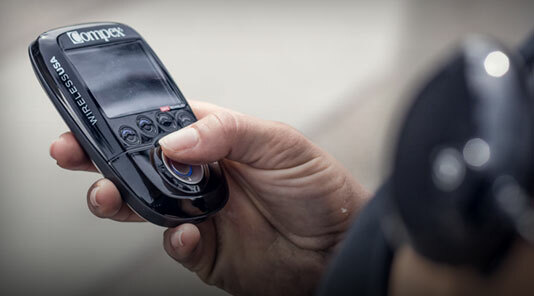 I was circumspect about EMS technology primarily because it kind of freaks me out, and also because I just wasn’t sure this type of device would do me much good. After all, I’m not looking to build huge muscles for competitive weightlifting or anything. But I do like making the most of my two to three weekly weightlifting sessions, and I do know the agony of severe lactic acid build up after a serious hike. So when I learned that of the nine programs the Compex Sport Elite offers, one was all about recovery and rapid lactic acid processing, and that many of the strength and endurance regimens could make those lifting sessions more productive, I figured hey, let’s give this thing a whirl. The first time I applied the electrodes to my body, I managed to put them on wrong and nothing happened. About 45 seconds of reading later and I realized I needed to reposition the adhesive pads and boom, my left bicep was twitching away without me doing anything more than watching in mild consternation. But y’know what? You get used to the involuntary muscle twitching pretty fast. I tried out the Compex on my quads, calves, and other arm, and then started trying it out on my abs some, too. While I have by no means had the time to become an expert with this device, I’ll say that I (and you will too) quickly got down the proper electrode placement for larger, distinct muscles and muscle groups, such as the biceps and quadriceps. Getting everything in just the right place to feel I was properly working my abdominals was a bit harder, and the fact that I have a moderately hairy chest wasn’t a benefit here. The goo on the pads is pretty forgiving on skin and even hair, I’ll allow, but it definitely took a bit of hair with it. Oh well. 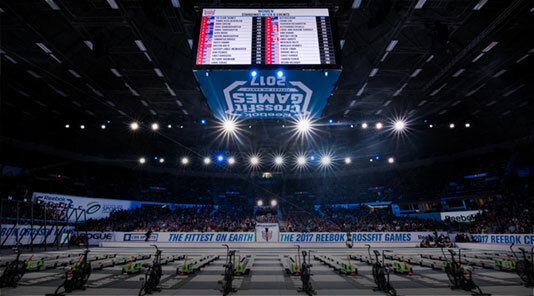 I’m sure over time I will become more comfortable with the strength and endurance building programs, but it was the post-workout recovery assistance that caught my attention initially and that I see myself making the most use of going forward. 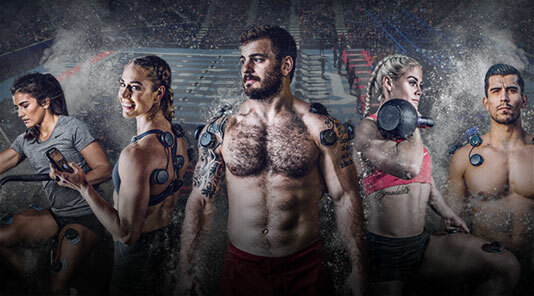 The Compex Sport Elite can help you stave off delayed onset muscle soreness (which they call DOMS), therefore precluding one of the most common issues the athlete/outdoorsman faces. If you are a serious hiker, you know the score: you get off the mountain feeling great, but within hours, your legs are locked up and throbbing and your back is sore as all hell. 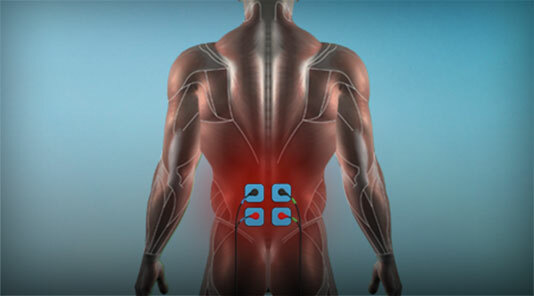 But not if you spent some time with the Compex’s recovery programs. 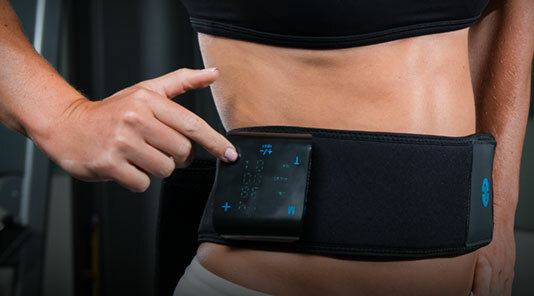 In this modem, the device produces a constant but low-intensity frequency of pulses that induce gentle muscle contraction akin to getting a massage. The result in increased blood flow that helps move lactic acid out of there muscles and bring oxygen and nutrients in. I have tried the recovery program out after runs and workouts, and I can’t wait to try it after my next big hike. And hell, I might even start building some muscle while sitting at this desk.